It’s normal for me to become obsessed with a new dessert find, only to get sick of it a few weeks later. However, I’m not expecting a more long-term fascination with the almond croissant from Tout De Sweet. The pastry chef at this place is clearly a genius, because I’ve never tasted a croissant like this before. Yes, I recently sang the praises of the pastry selection at Praline, but I daresay that Tout De Sweet has eclipsed that level of deliciousness. 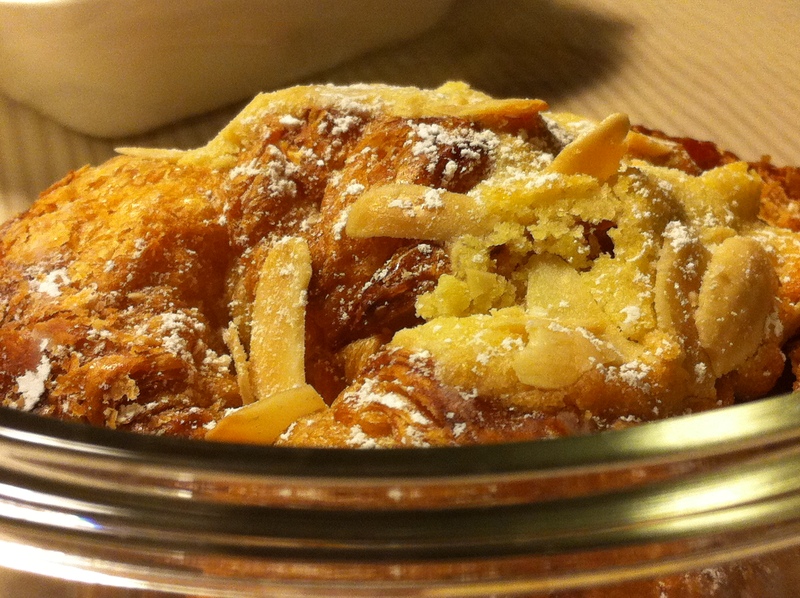 What makes this almond croissant so amazing? Let’s analyze. The texture. It’s crunchy on the outside, with tender pastry and gooey filling inside. Filling: The all-important almond filling isn’t heavy like marzipan, and lacks the gritty texture you sometimes encounter. Fresh-roasted almonds: They taste like something recently pulled from the oven, rather than prepackaged. Right amount of powdered sugar: It’s applied with a light hand. You don’t want to be choking on the sugar, or getting it up your nose. If you have the slightest hankering for pastries, it’s worth schlepping to Bethesda–even if you’re allergic to yuppies–to try this. An added plus, the chef and his wife who run the shop are exceptionally nice people.